Pixar Animation Studios gets a ton of credits for the risks it takes on original material. It also should receive credit for knowing when to unplug a project, for whatever reasons they may have. That’s what happened with Newt, Pixar’s unfinished work that would have been the studio’s fourteenth feature. Gary Rydstrom was set to direct the story of two blue-footed newts who hate each other, but are forced to mate to save the species. 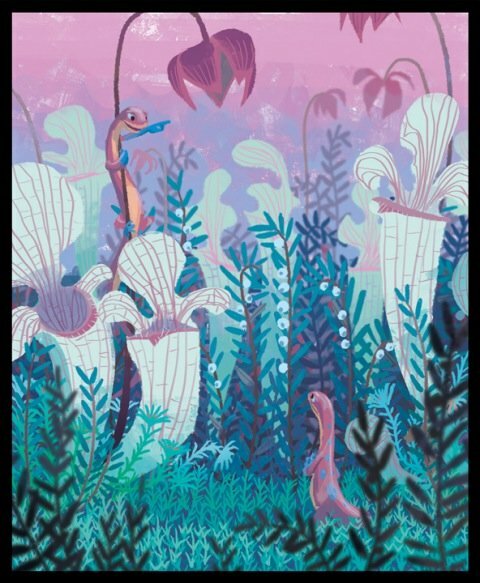 Similarities to the storyline in the animated film Rio might have led John Lasseter to pull the plug, but Newt got far enough down the creative pipeline to inspire early concept art drawings. And today, we've found even more. It does sound strange to pay this much attention to a movie that isn’t happening. Newt is done, and Pixar prefers we look ahead to Monsters University. But with the studio starting to make more sequels (in addition to MU they have Finding Nemo 2 coming to theaters in 2016), it’s normal to lament what might have been the next Pixar masterpiece. What do you think? 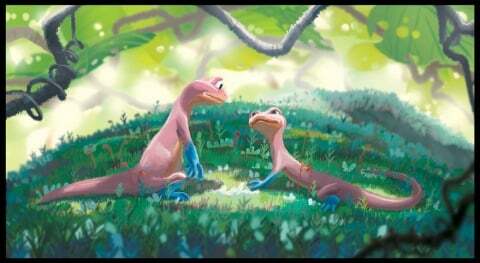 Should Pixar have pushed forward with Newt, ignoring the likes of Rango and the similarities to Rio? Or would there have been more fuel to the fire of Pixar losing its originality? We’ll never know at this point. All that’s left is speculation.